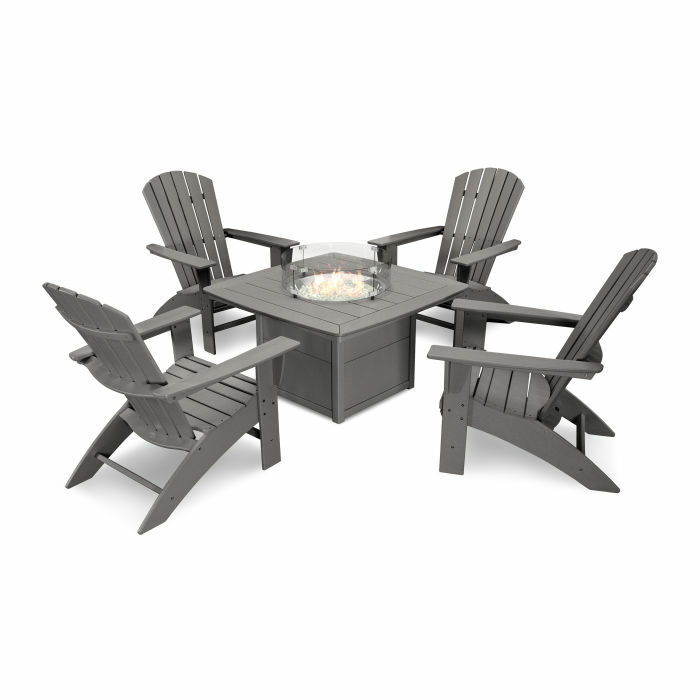 The 5-Piece Chat Set includes four Nautical Curveback Adirondack Chairs and one Nautical Fire Table designed to match our Nautical Trestle Dining Tables. The curved back slats and waterfall front of the Nautical Curveback Adirondack Chairs add an extra layer of comfort. Unwind with a drink and your favorite outdoor grub in the Nautical Curveback Adirondack 5-Piece Chat Set with Fire Pit Table. Up to four people can enjoy the cozy fire from our brand-new Nautical Fire Table with just the press of a button. Avoid the maintenance and hazards of a traditional fire pit so you can focus on creating memories with the people you love.